It seems we have forgotten to share a pretty important detail with you good folks that follow our blog and Facebook site: We have received and started roasting the new crop of Daterra Sweet Collection. As always a fresh coffee that has just arrived tastes better than the year-old crop and it gave us a chance to dial in the roast profile further. We hope you’ll enjoy it. We roast this coffee with espresso in mind. That’s where we think it tastes the best. But many of our customers enjoy it on french press or filter, where the low acidity and heavy mouthfeel also has its place. See all the pictures from Linus’ visit to Daterra last summer in this Flickr set or in the slideshow below. At the beginning of the new year we have also changed our espresso blend. We wanted to do try out something new and have decided to make it a blend of four coffees from two producers. Again it’s the Daterra Sweet Collection making up the majority of the blend. There’s just no way around how much we love that coffee for espresso. 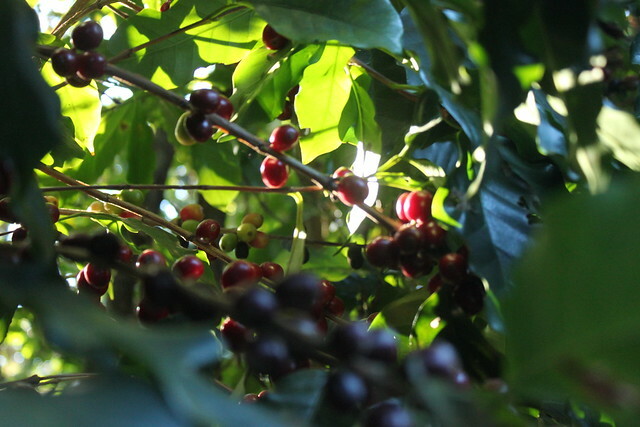 But we’ve added 15% of Daterra’s Organic Reserve which is a bit more fruitful. Then we have two different week lots from Kieni in very different roast profiles. One is roasted with the same profile as our old blend, which for espresso is relatively fast (relative to our Daterra roast profile anyway). This brings out the floral and light fruit notes in that coffee. The other lot is quite the opposite. A much slower roast with a different temperature curve that lowers the acidity quite a bit but keeps the darker berry notes of blackcurrant and cherries adding a very oily mouthfeel to the espresso. Both coffees are available in our coffee shops and webshop.